I’m sure I don’t have to tell you that one of our most vulnerable places in the concealed carry world is in and around automobiles. We spend a good portion of our lives in and around these pieces of steel that take us to and from our places of work, and just about everywhere else we go. It’s been said, ” Americans spend 17,600 minutes behind the wheel each year”. That’s 7 full 40 hour work weeks. Do you think that maybe many of the self-defense incidents that we hear about happening in and around vehicles? Well, they do. In 2016 there were 115,000 murders and rapes in America, that started in a vehicle. I mentioned today to one of my students that I took a course last year about just this topic “Vehicle Firearm Tactics for Concealed Carry”, and I didn’t even leave my home to take it. Look I have never been an advocate of online training, but sometimes in instances like this, it may be warranted. 1st Even if you could find a course like Vehicle Firearm Tactics for Concealed Carry it would cost you hundreds of dollars just for the course and that doesn’t include travel meals and hotel. 2nd I’ve been doing this a long time and I have never had an opportunity to attend a class such as this and I have looked many times over the years. They just are not available. Think about it. To have a vehicle that you and others can shoot at and train from is just non-existent in my world. Let alone the liability the range and the instructor has when you let everybody participate without knowing their skill level and safety understanding. The whole thing is mind-boggling. 3rd Somebody else knew how hard it was to do this so they ConcealedCarry.com produced a really good video-based education program for just that purpose. Vehicle Firearm Tactics for Concealed Carry was the brainchild of Riley Bowman and Jacob S. Paulsen these guys are the real deal with a lot of Instructor experience and Law Enforcement background. The production of this training program cost a bundle and you will see it in the quality of the program. In addition to all that these guys are here in Colorado (Buy Colorado). 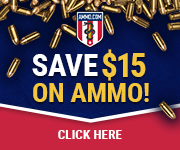 So here it is a program that doesn’t cost $1000 or even $500 dollars and guess what this great program costs you less than 250- 9mm FMJ rounds (that’s 5 boxes) from your favorite discount store. That’s right you can take Vehicle Firearm Tactics for Concealed Carry for the low price of $37.62. This course is worth many times more than that and you should jump on it before Riley and Jacob realize they are giving it away and remember you can revisit it over and over again.  Yes, I’m gonna make a dollar on it if you take the course thru the link I supplied, but you wouldn’t have even known about it unless I spent the time to tell you about the great Vehicle Firearm Tactics for Concealed Carry program these guys have to offer. 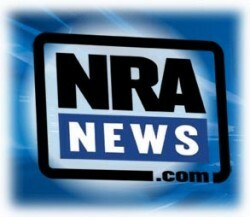 Sign Up Today For Vehicle Firearm Tactics for Concealed Carry training course.